Time to get your public consultation hat on and participate in those City of Vancouver surveys! The N.E. False Creek (think BC Place) and Eastern Core (Terminal Ave) public consultation questionnaire is open until August 26th, 2013 only. Note this is the survey before the actual public consultation happens, questions including how best to reach the public, if certain forms of town meeting / advisory committee are preferred over others such as online surveys and idea forums. 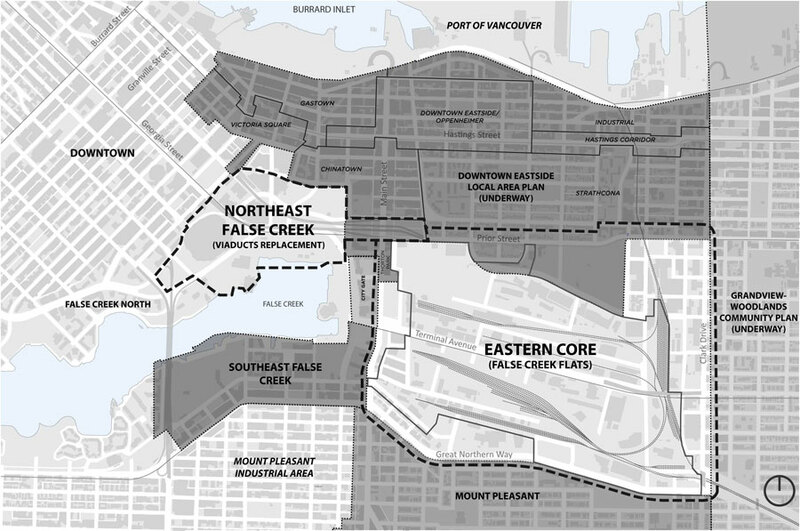 The City of Vancouver will be undertaking two parallel planning processes for Northeast False Creek (including the viaducts replacement) and the Eastern Core (including the False Creek Flats, and is generally bounded by Main Street, Prior/Venables Street, Clark Drive and Great Northern Way). Through these planning processes, the City has a strong desire to engage local residents, organizations and businesses in the development of the plans. We want to ensure we hear a diversity of perspectives from people who care about and are impacted by future plans for these areas of our city while also considering the possible needs of future residents and businesses in the areas.